If you like going to the movies, why not earn some extra cash AND watch them for free? With free snacks, too! In Northern Virginia, where I live, I pay $14.50 for a plain vanilla movie ticket at the mall. IMAX 3D is over $20. Throw in popcorn and a drink, and it’s $30+. If I go with my daughter, that’s $60+. And if the movie’s a dud, UGH! 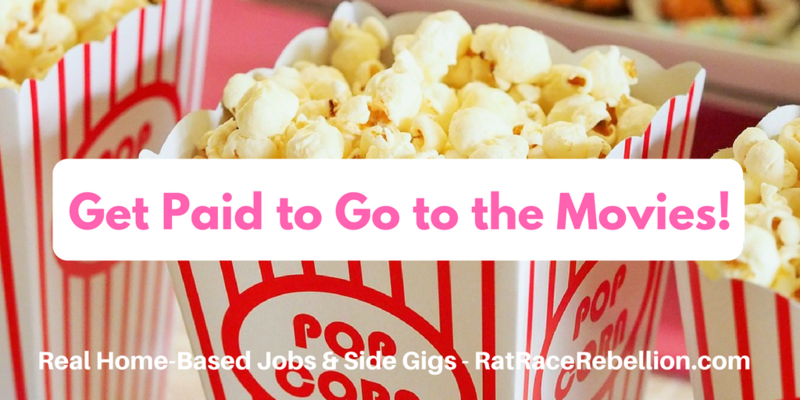 But there are some side gigs with Market Force Information — a legitimate and established hirer of Mystery Shoppers — that let you get your movie fix on better terms. Just register (for free) as a Certified Field Associate (CFA), and you’re eligible. Reportedly CFAs can make between $10 and $20/hr. per gig, and some of the assignments can pay $30+. But data’s hard to come by, and the company hasn’t confirmed those rates. “You’ll be paid for field visits… and even reimbursed for your movie tickets and concessions for select assignments,” Market Force says. Employee reviews on Glassdoor give the company 2.7 stars out of 5, and 3.6 on Indeed. You can pick the films you see, so you won’t have to worry too much about objectionable content. To go straight to the job, click here. For more Mystery Shopping jobs, click here. Good luck!